SBI PO Prelims Result | Registration Number repetition| Concern or Not a Concern? SBI has released the result of SBI PO Prelims which was held on 1st and 8th of July 2018. The result has been published on the official website and the result is absolutely genuine. In the pdf provided, certain registration numbers have been repeated, but this does not mean that the result is not genuine. 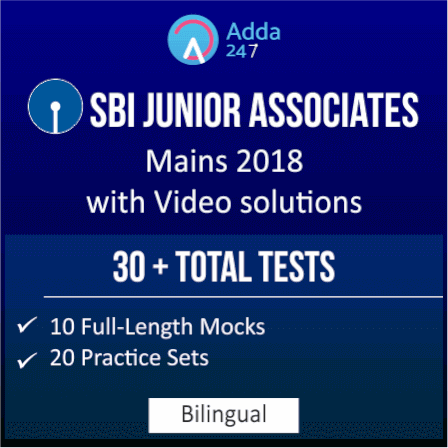 We are in contact with SBI and any update regarding this exam from SBI result will be notified to you by Bankersadda and Adda247. The results have been published on the official website of SBI so there are no chances of it being fake. We will contact SBI regarding the repetition of registration and will soon let you know the updates. But the qualified candidates should start preparing for the exam and do not waste their time as very less time is left for mains. Give your best and come up with flying colors.